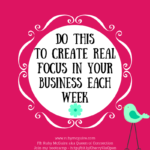 Are You People Pleasing In Your Biz? In today’s blog post, I will share 3 simple, but not necessarily easy, strategies to help you stop people pleasing in your business. If you are people pleasing, then it’s time to draw a line and create some healthy boundaries. People pleasing is something that takes time to overcome. It’s emotive. What can happen over time, even with the best intentions is that you can become tired, or think it’s just not worth the effort and opt for a quiet life where you then start to back pedal and relapse. That’s absolutely normal so you just need to know that it’s a natural response, and something that may possibly happen to you if you’re planning to do things differently. 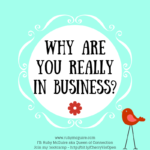 This isn’t said to make you feel bad, but to help you to recognise how it may be affecting you in being truly authentic in your business and life. We can mistakenly think it’s just one area of our lives that it plays out, only to find that it’s impacting many areas. It can make you feel frustrated, anxious, overwhelmed. It’s bad for your health and is draining and exhausting! We all have different strengths and qualities to bring to the world. You are just as important as everyone else, you just need to believe that. You’re fabulous! This isn’t about not helping people but it’s about knowing that a balanced relationship is about both party’s needs being met. We often say yes because we want to help, and come from a place of ‘should’ or ‘have to’. All this does is undermine our self-worth. Boundaries. A simple word that can bring up a whole lot of challenge and push your buttons, but completely amazing when you start to get them right. It’s not what you say, it’s how you say it. 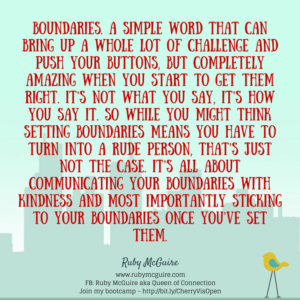 So while you might think setting boundaries means you have to turn into a rude person, that’s just not the case. It’s all about communicating your boundaries with kindness and most importantly sticking to your boundaries once you’ve set them. Defining your working day – what time will you start/finish? The ‘not taking client notes’ one is an easy trap to fall in. It’s not just this, but about doing everything for your client. It doesn’t help you of course, but more importantly it doesn’t help them. When I do too many things for my clients they become reliant on me for answers. My job isn’t just to help them in the moment but to give them tools that they can use going forward when they’re not working with me. They feel much more empowered when they’ve come up with the answer on their own and/or taken responsibility for their part in the process. 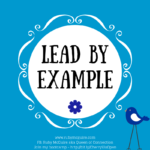 For example, some of my clients will ask me to nudge them on certain dates about what they want to be accountable for, so I will get them to take control of that and tell them to message me on that date to let me know how they are getting on. This means they will feel more in control which in turn boosts their confidence. 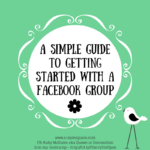 I will do regular check-ins but the onus is on them to complete the tasks, not for me to create a long list of follow-ups with all of my clients. When I first started saying ‘no’ to people I found it really challenging. There are only so many hours in the day and while you want to say ‘yes’ to everything. It’s not always possible. 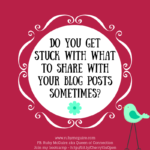 Check out this post by Alexandra Franzen. She’s a beautiful wordsmith – lots of my messages started from her fabulous wording. It really helps to have templates, that way you won’t end up buckling under the pressure and feeling guilty for saying ‘no’. As your business grows, so do the requests from people. The problem we can have as service-based business owners, is that we genuinely want to help, and sometimes that can mean we give away waaaaaaay too much of our free time. At first it might be giving away lots of free sessions of one type or another. Over time, because of your generosity you can become the go-to-person for free support and guidance – as one of my business coach friends would put it – free consultancy. It’s time to know that what that means is you’re offering great value and people want what you have. If they’re not willing to pay for it though you have a hobby, not a business. Check out this post for 3 ways you can say no to people who want to pick your brains for free. It’s one thing being of service, and another where people are abusing your generosity. That’s kind of your fault though, as you’ve trained them to be that way. Harsh but true! You need to draw the line and create how you want it to be going forward. 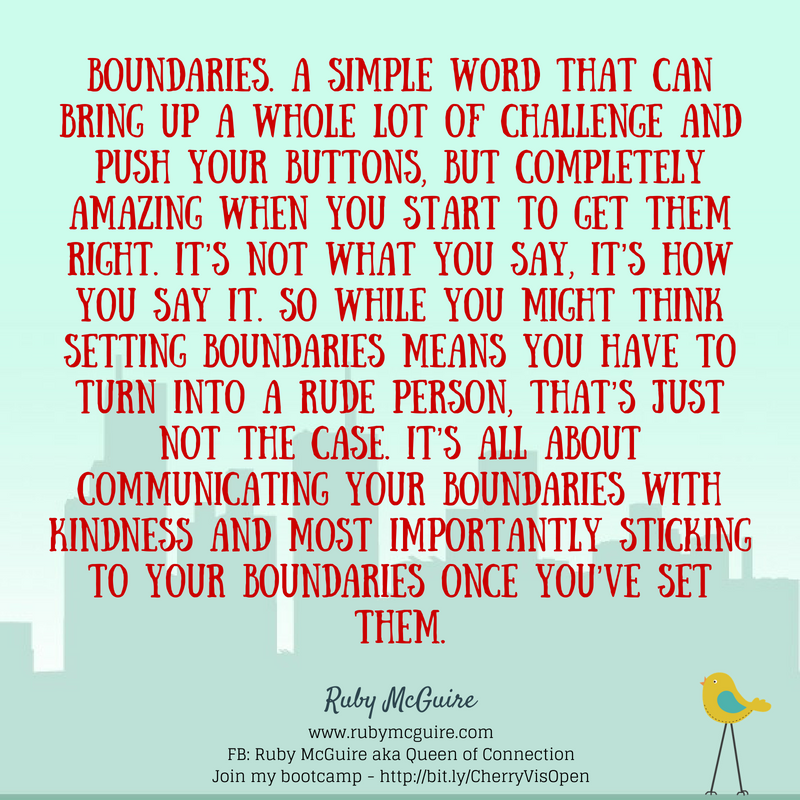 When you look after you and set clear boundaries, you’ll actually find that instead of people being annoyed with you, they start to notice what boundaries they set in their own life. I’m often told I inspire others to set really good boundaries, because I’m so clear with mine. It doesn’t mean I’m perfect by any means, I’ll back pedal too. The difference is that over time you notice when it happens much quicker, and add in new boundaries as you go to make sure it doesn’t happen again. Call to Action: Choose one area in your business that isn’t quite working for you, and set a lovely new boundary around it. 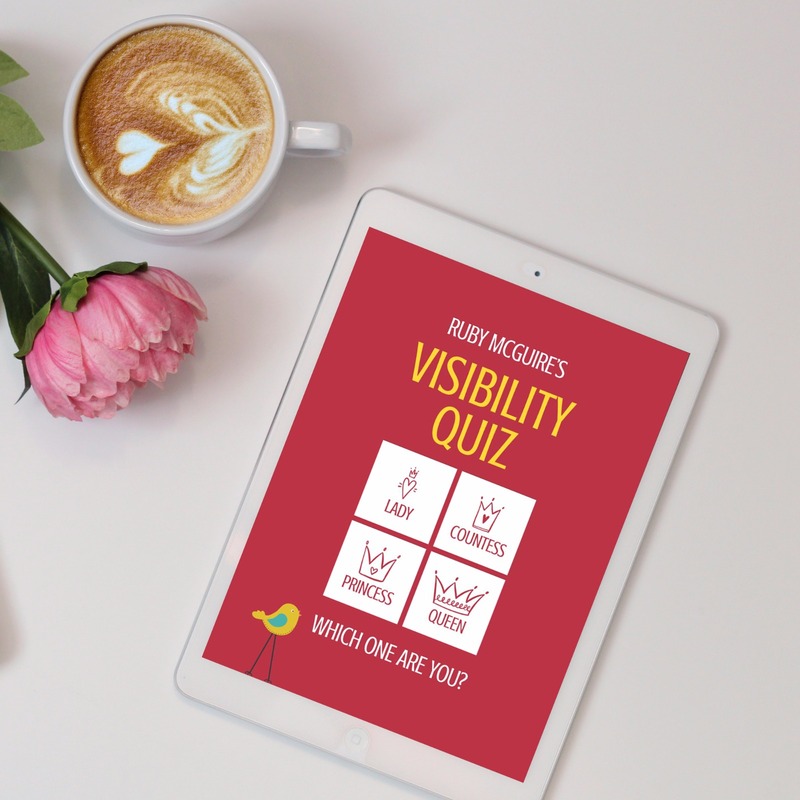 If you’d like more help with this, I’ve created a lovely little worksheet to help you create beautiful boundaries in your business.